The Shadow rose above most of the treetops and glared at the fleeing vehicle with a tangible malice that sent chills along his skin. Its body was alight with swirling hues behind the black smog again, and the air around it was still as distorted as it had been in the town. A terrible screech ripped through the forest. With a fierce wave of its arm, the Shadow let loose a massive wave of miasma and rushing darkness. The force tore across the mountainside without slowing. Trees were stripped of branches and thrown from their place, toppling over one another. Rock exploded from the ground, uprooted by the overwhelming force, and dirt evaporated in mid-air. As the wave of destruction closed in, the air around the jeep seemed to freeze over. Black wind swept over them, picking the jeep up from the road. 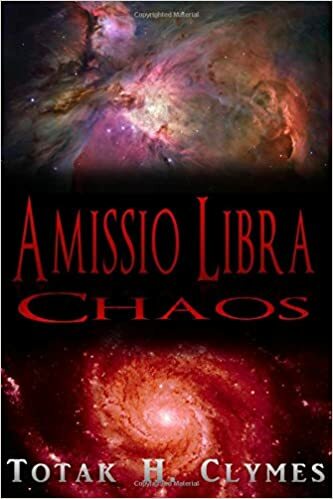 This entry was posted in Chaos, Snippets and tagged Amissio Libra, Chaos, Contemporary Fantasy, Snippet, Totak H. Clymes. Bookmark the permalink. Amissio Libra: Chaos, a dark fantasy novel written by Totak H. Clymes, is FREE on amazon today through October 5th. Here is a short snippet from the book. I will continue to post snippets throughout the week.